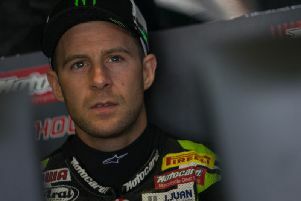 Jonathan Rea had to dig deep to finish as the runner-up in Saturday's opening World Superbike race at Aragon in Spain. Bautista disappeared at the front as he left the field in his wake on the Panigale V4-R, but in a drama-filled race behind him, reigning champion Rea - who started from 10th place on the grid - pulled out all the stops to keep Welsh rider Chaz Davies (Aruba.it Ducati) behind him to secure his seventh straight runner-up finish, 15 seconds behind the winner. Spain's Alvaro Bautista made it seven wins in a row as he won race one at Aragon on the Aruba.it Ducati. Rea was fortunate to stay upright after German competitor Marcus Reiterberger collided with the rear of his Kawasaki on the grid as the race started, leaving the BMW Motorrad rider lying on the track. 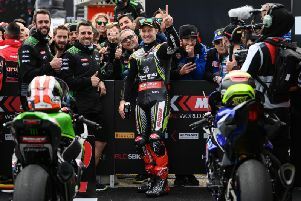 For Rea, it was damage limitation once more as Bautista won his seventh race in a row, becoming the first Spanish rider to win a World Superbike race in Spain since Ruben Xaus in 2007. Alex Lowes finished fourth on the Pata Yamaha ahead of Tom Sykes (BMW Motorrad), while Michael van der Mark finalised the top six (Pata Yamaha).